Price listed is for eight glass beads. 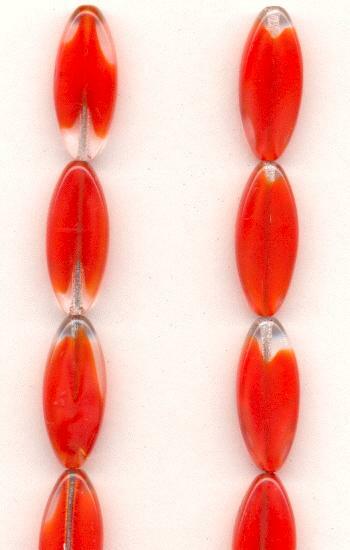 These are approximately 20mm by 8mm Czech clear/red givre flat glass beads. They measure about 4mm thick. Each bead will vary slightly in color. The hole runs through the length of the bead.